Released Exclusively on the New DVD, John Canemaker: Marching to a Different Toon. "Outstanding Achievement," 21st Annual San Francisco International Film Festival 1977. In this documentary, 84-year old Otto Messmer talks about how he developed the famous Felix the Cat and what made the character so popular. Clips from vintage Felix shorts from the 1920s directed by Messmer. "A tribute to a neglected figure in the world of animation. 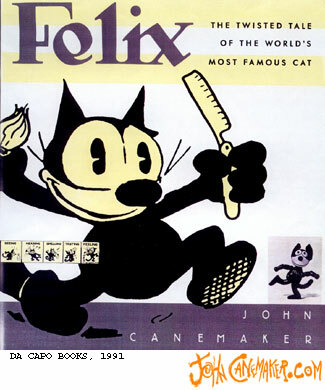 . . it brings Felix to life again for a new generation." Film News, Summer 1977. Distributor: Phoenix Learning Group, Inc., St. Louis, MO.